Bathroom remodeling can be tricky when you consider the design, the possible tile work, cabinet installation, and plumbing that will have to be done in order to complete the project. That is why many in Texas look to local remodeling companies like LM Tile Houston. 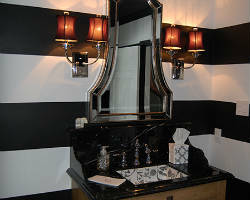 Not only will this company take care of every aspect of the remodel but they will do so with unbeatable customer care. In addition, you can be sure that you are getting the most affordable prices when you work with a company that treats you like a friend. There is nothing but raving reviews of the work done by JRG Builder & Remodeler. Whether they are helping clients reinvent their bathroom space or expand it, they always keep their clients involved in the design process. This ensures that the bathroom is functional for their particular needs as well as styled to match their tastes and is completed for a relatively cheap price. From there, the construction and plumbing teams take over to make the remodel come together in a timely and professional manner that the clients always love. The bathroom is a place we all spend quite a bit of time, from getting ready in the morning to taking a relaxing soak or shower. 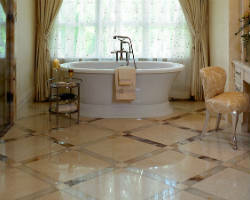 The Bath & Kitchen Showplace is one of the best companies offering bathroom remodeling in Houston, TX. With a tried and tested process, they work closely with their clients at every step, from the design to the construction. They will help you choose the right fixtures as well as provide the highest quality installation in order to turn your bathroom into an oasis. 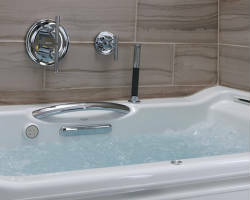 RHH Home Services Inc. is a company that can remodel an entire home, but if you are in need of a Houston bathroom remodeler, they truly are the best. Specializing in spaces that you spend the most time in, this company focuses on bathroom and kitchen remodeling in order to create the most functional and beautiful space for you and your family. They know which materials and techniques to use in order to combat common bathroom issues like mold and mildew while putting you in control of the design. 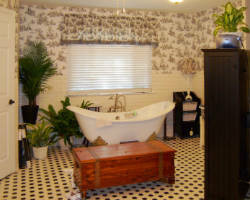 Lone Star Building & Construction Services, Inc. has been a bathroom-remodeling contractor since 1976. This is not just a company made up of a few guys who know a bit about construction, but rather a team made up of experts in their fields from design to fixtures and construction. You will be convinced that you came to the right professional group for the remodel of your bathroom when you see their impeccable previous work and experience how helpful they are even in the beginning stages of your remodel.